Friedman’s historical saga will take you on a journey from the end of World War I through the beginning of World War II. Explore the complex situations and characters brought to life in this exciting series following Travis Kane through New York, London, Paris and more. After the Japanese attack Pearl Harbor in 1941, American lives change dramatically. The Satin Sash continues the breathtaking lives of Travis Kane, Lindsay Wayne and Jean-Paul Renault with all the inherent dangers of the French Resistance, President Roosevelt’s live or die missions, and death defying action when German spies secretly enter the US through it’s ports. A wedding reception and the lives of Travis Kane and his family are thrown into chaos as America enters World War II. 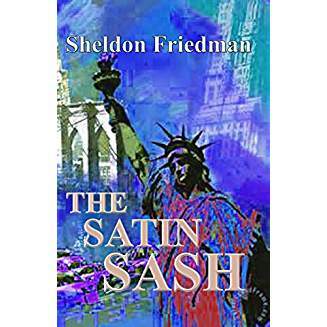 The Satin Sash takes readers on journey through New York, France, London and Ireland. Travis Kane becomes President Roosevelt’s tool in bringing one of the world’s most famous paintings to New York. Racial tensions surface. A famous black activist enters politics and an actress makes choices in the face of heartbreaking tragedy. A public enemy serves his country in wartime and a black artist becomes famous. When a baby is born the future shows promise. 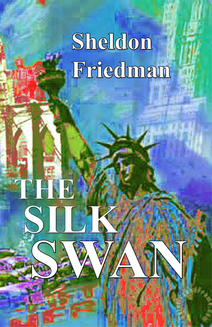 The Silk Swan continues the exciting adventures and lifestyles of Travis Kane, his family and friends following World War II. Friedman’s third installment explores the coming of age issues of their children, heartbreaks, tragedies, passions, joys and what it is was to like to live during the latter part of The Cold War years.